For years, the only way to correct a major dental issue, like an overbite or crooked teeth, was with traditional metal braces. While effective, metal braces can present a number of issues: they can damage your gums and make oral care a hassle. Now if you have a problem that requires braces to realign your teeth, you can choose to use Invisalign clear alignment trays instead. These trays can be removed, so you can still enjoy all of your favorite foods. Additionally, they are clear, making them less noticeable than traditional metal braces. Fortunately for Omaha, NE patients, you can receive Invisalign treatment at Quality Dental Care. Traditional metal braces require extensive dental appointments and checkups to install and tighten the braces every few weeks. Tightening of metal braces can be painful to the patient, especially if they have sensitive teeth. Invisalign, on the other hand, does not need tightening. Instead, you visit your dentist every two weeks to receive the next size tray. You wear each tray for 20 hours a day for two weeks, then visit your Omaha dentist to receive the next tray. Each tray slowly repositions the teeth for the next tray, allowing your teeth to straighten in a shorter period of time compared to metal braces. Comfortable- Invisalign trays are uniquely molded to your mouth making them far more comfortable than traditional metal braces. Invisalign clear alignment trays are smooth and removable so if your tray is ever bothering you all you have to do is remove it. Since the alignment trays are made of plastic, they won’t irritate your mouth as much as metal braces can. Quick Treatment- Depending on the severity of the issue, metal braces can be worn by a patient for two or even three years. Invisalign, however, can correct the issue in a little more than a year. Fewer Dental Appointments- Not only does Invisalign not need to be tightened, they also require less extensive dental visits. Usually Invisalign only requires a quick dental check up and you’re on your way with a new set of alignment trays. Traditional braces require extensive dental check ups, cleanings, and the uncomfortable act of getting the them tightened. Eat Your Favorite Foods- Popcorn, nuts, seeds, hard crusted bread, and gum are some examples of foods you must avoid when you have metal braces. Invisalign trays are removable so food can’t get stuck in them like metal braces. If you are craving popcorn, just remove your tray and have your snack. Straighter Teeth- Traditional metal braces will straighten your teeth, but they have so many drawbacks that it only makes sense to go with the more comfortable alternative, Invisalign. Invisalign will straighten your teeth and correct problems like overbites, underbites, and teeth gaps just as effectively as metal braces, but without all the problems. 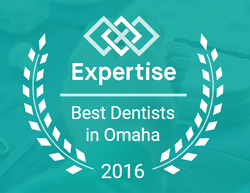 If you are interested in Invisalign or any of the other services we offer at Quality Dental Care in Omaha, NE you can contact us here or by calling 402.431.8844 to schedule an appointment.